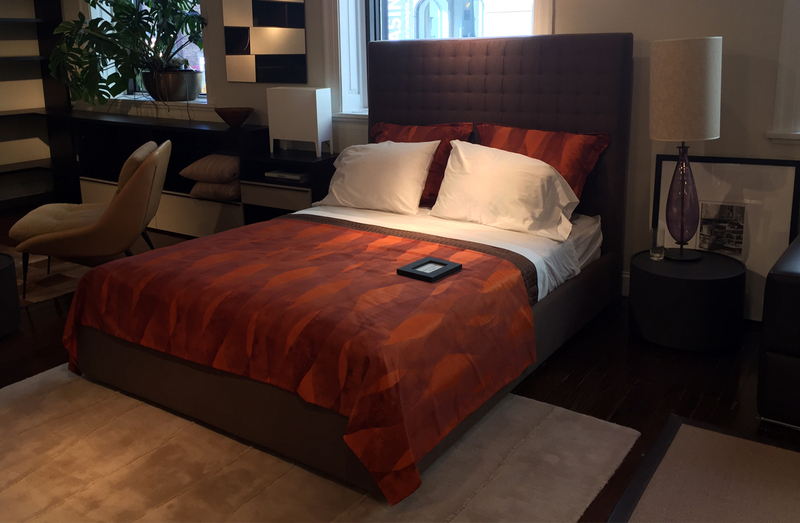 Queen size upholstered platform bed frame and headboard in brown wool felt. List price as shown: $7895.00. Floor model price: $4342.00.